Let's not forget that under a DM article on Fb that said Nick chose Britt and they have since split, Nicks brother commented "hahahaha no" - 1) he confirmed it isn't true. 2) he found it halarious 3) he looks at the media posts. And on IG Britt's brother commented "yeahhhhh sister haha" under her post about her date.. i read this to be heavy with sarcasam, as in "yeah right" And the comment from Bernadette saying that it it was her 'second' favourite ep emphasized the word 'second'. My thoughts are that they're totally messing with everyone and if Britt is not F1 then I would say that she is helping them (Nick and F1) as a friend and someone who is enjoying that attention that comes with being speculated F1. I wished we kept a timeline with sources about the above. Lets add Nick comment that his family picked his F1 among the 2 girls they found the most genuine (group date). Ultimately, they picked Brooke, a brunette. Bernanette mentioning 2nd favorite date can only refer to the group date with brooke since I am pretty sure that family did not watch the season yet like everybody else. Brother saying nanaannaa no could be because indeed Britt was never F1 but another girl. Nick saying he misses his brunette (when was it said?). Everyone is so convinced it is Britt but it could be sophie. She is the last one seen in the season teaser which is a good clue that she may be the last one standing. She moved to Sydney recently. She was seen meeting men in suits, could be her work, could be network people. She looks totally miserable on the bikini photoshoot which IMO looks like she was dumped at one point. 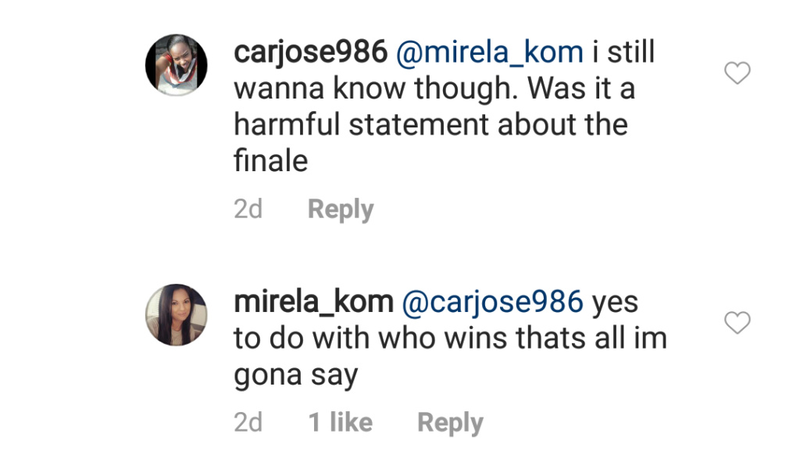 She is playing possum on SM, even after 4 months after the finale. Nick being with this little young brunette who tried to hide her face in front of this pizzeria. 1/ would he stand in the street with her knowing someone would automatically recognize him. I recall Cass said that he brought her to his uncle pizzeria so this is a place he brings his dates. Manly which seems to be the place where you cannot fart and a paps record it. Is he that stupid? Again, is it so difficult for him to keep it in his pants? if true of course. do we have the blurb for the next 2 episodes yet? 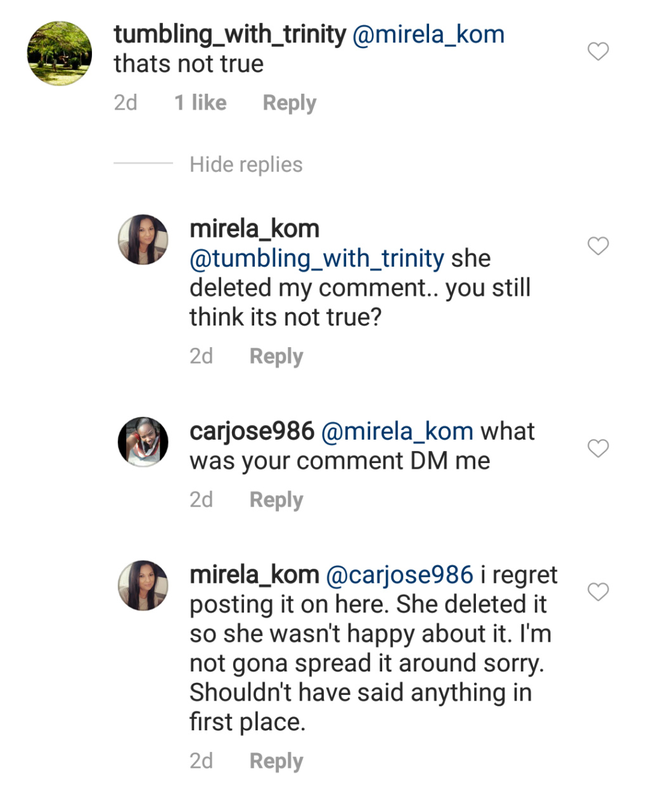 @Storybook wrote: The only thing I am taking from this season is how some SM posts, made by certain family members are out of control. I remember several of us believing Elise had won (Matty J’s season) because her mum was liking photos of Elise and Matty as a couple. I’m still not sure why Elise’s mum liked them, it was said she wanted to support Elise. As a result in my mind, family members liking photos has many connotations. As for Nick’s brother refuting Nick has split with his F1, IMO this could go either way, after all you’re damned making a rebuttal and damned if you don’t. And Nick only sending to girls on Instagram once, shows me Nick’s mindset. I think it’s higly likely he would’ve been spoken to by TPTB and called an abrupt end to his messaging. I do not recall having proof of that? I don’t have proof either, I was referring to Bachbee’s post. As I said SM posts seem to be out of control this season. I think he chooses Britt and I think they are still together. I have gone back and looked at what he said in all his interviews and he definitely slips up and implies he chooses a Brunette in that early interview. Also, in the 'first message' on the official Instagram page, when asked what he looks for in a partner, he very clearly describes Britt ( ) and it looks like it was filmed after filming ended judging by his hair. He has also described what happens during the secret visits, so clearly he has been on at least one. I think he has been told to not say ANYTHING about what happens hence the refusal to confirm he is in love. Also, it is entirely possible that he didn't say "I love you" at the end because he wasn't there yet. He keeps saying he is 'very happy' and made the right decision. In the preview for the season he 'sees the future and its beautiful' and he has a ring to give to someone so he must choose someone otherwise what the hell is he going to do with it? My guess is that the only possible deviation from this scenario is that somehow the SM clues are wrong and Brooke and Britt are the final 2 and he chooses Brooke over Britt (heart over head)… no idea how she would be liking things on twitter though. I think the speculation that they have split started with Nick refusing to say he was in love and has ballooned from there with all of these 'rumours'. There is no evidence and surely there would be a screenshot of these 'messages' if they amounted to anything? Plus I think a lot of the media stories come from reading people's opinions here (lazy journalism). I don't get the assumption that he is a player when he has been in 2 very long term relationships and is on good terms with his exes... plus he moved to Japan for the last one which came at a HUGE cost for him career wise. He seems very decent to me. Britt and Nick are both funny people and all of their captions have reflected that. For instance, people are reading into Britt's red wine caption when it seems obvious to me that she was making a joke about drinking red wine while wearing pure white and tempting fate that way. There's no deeper meaning IMO. I have noticed that, with Britt, Nick has initiated all kisses, even when Britt wasn't expecting it. The only other person that has anything like that with Nick is Dasha. The storyline with Brooke is either really good editing to make it less of a one horse race, or she's really F1. I would also add that Bernadette named Brooke and Britt as the 2 girls most genuine in that episode. She said both names and didn't mention Sophie. The fact that, in the first episode, Sophie's meet and greet was all about Cass waiting in the car is a big flag that she is not F1. Oh, and for those overseas, Brooke lives in Perth, the most isolated city in the world. It's a 5 hour flight from the nearest city to Perth and there's not enough work for professional paps to base themselves there. There are never a lot of pap pics for the contestants that live in Perth because there just aren't that many paps! I don't think you can assume she is 'keeping her head down'. Britt is the SportsBet front runner. She's facebook friends with Bernadette whilst Brooke isn't. In this radio interview on 16 Aug (yes, it was a month ago and they may have broken up since and it doesn't necessarily apply to Britt, could be one of the other girls). But from 6.38 Nick says he's off the market (listen to the full chat). @stoneleigh wrote: I don't get the assumption that he is a player when he has been in 2 very long term relationships and is on good terms with his exes... plus he moved to Japan for the last one which came at a HUGE cost for him career wise. He seems very decent to me. This part! I saw an interview he did with Kyle & Jackie O and he didn't come off as the type that has tons of random hookups so the sheer # of rumors also make me doubt the claims. Jmo.